A complex situated 15mins drive from Santa Maria on the west coast. Split into two complexes. Phase 1- Baia and Phase 2-Aldeamento. I understand that these were built in 2004, but please check exactly when as I have heard different dates. I did notice that many of the Europeans who had bought in Murdeira had their properties up for re-sale. It may be useful to make your own independent enquiries and not those of the agent or person showing you around. The Baia development in Murdeira has a mixture of owners, rental and holiday let accomodation. During some periods of the year it is really quiet, at other times it is busier due to tour company packages from mainly eastern Euopean countries. There isn't much as regards services and entertainment. It is a development with a small store/café, a restaurant and an open air salt water pool. Some of the re-sales properties in Murdeira are quite nice. There are studios, one beds, two beds, duplexes and villas that come up as re-sales. It is worth visiting the complex to compare Santa Maria with another extreme. Murdeira is where many of the business people live, it’s more of a gated community. Aldeamento is more residential than Baia. The villas on Aldeamento differ to those in Baia. Prices of apartments and villas vary and can depend on which agent is showing you a particular property. Some agents/sellers advertise the same property for sale at different prices (so check and double check). If you don't have transport, the alugers (mini buses) pass near by on their way to and from Santa Maria and Espargos during the day (sometimes not late evenings). They did run a bus service from Murdeira, but I am not sure if it is still operational. Otherwise you will need a taxi or your own transport to get you to or from Santa Maria. I saw some detached properties which were villas in Aldeamento (2nd phase), round sweeping verandah’s, garage, sea view, these were front and second row and more expensive than the semi detached villas, different styles too. Please note that people selling properties can be friends or neighbours of the owner, not just the Real Estate Agents selling them, so it’s up to you to find the best deal. One rather grand Villa was 360,000e fully furnished (OTT). The first of two other two villas I looked with a friend was 190,000e and was fully furnished. The sale also included a car and garage. We asked one of the neighbours about this one, he was really helpful and quite honest as to how much properties were really worth. Another villa on the 2nd line included a car, bikes and furniture, was 280,000e. I also saw a few 2 bed duplexes around 85k euros. Agents sale percentages were included. Some were furnished others not, but some cost slightly more, others slightly less. I was also shown 3 other properties in Murdeira by another person. The first was one of the older terraced 2 bed duplex. They are quite nice. Entrance to the duplex was up some steps on first floor. Balcony to the front of the lounge/kitchen area, back double bedroom with bathroom, upstairs double bedroom with en-suite, it also had a very large verandah. This particular duplex needed some work/repairs and it was just about the same price as another nicer one I had viewed nearby, the previous week. The second was a ground floor studio, mid terrace, nicely furnished. You would have needed to have the air conditioning on most of the time or the curtains drawn, as the only windows were within the front door and two small windows each side of the door, there were no windows anywhere else. The third was one I had been told about before I visited Sal, some new studio's being built in Murdeira. It had the staircase of the studio above, over the sink, very strange! Again, we saw another villa in the 1st phase Baia Village, which was being sold by the owner for 120k euros, another person was asking 140k euros for the same villa. Don’t forget, if you buy an over-priced property, you could loose out when trying to sell it! I saw a 3 bed for sale in Murdeira on one website for £157,000. A similar one I saw September 2005 was 150,000euros however I cannot remember if one had more things included in the sale than the other. There is a small man-made bay separating the two developments. There is a bit of a rip in the bay at Murdeira and it gets deep, quickly! The restaurant, shop, cafeteria and 25m salt water pool are situated in Baia. Most of the Europeans who bought there originally were able to get direct flights from their home country when the Cape Verde islands first became the new 'in place' to be. They mainly bought in Murdeira. The swimming pool promenade at Murdeira can be slippery if wet, be careful. Can’t recall seeing any depth markings, so be careful when entering the pool. Most pools in the UK have had a no diving policy for several years. Pools in the UK will have depth markings, non-slip promenades and notices saying don’t run, push people in or dive in the pool because it is dangerous. It’s even more dangerous when you are on holiday abroad. A lack of trained lifeguards and safety notices should be a warning to all – wherever you are, on the beach or around a pool! And finally, kids don’t read safety notices, so be extra vigilant! There isn't any entertainment although I hear the odd musician has performed around the restaurant. There are also some restrictions which exist i.e. the bar has to close at a certain time and restrictions on what you can and can't do in your accommodation. It is a very quiet place generally. I understand that Murdeira Management Service did have additional charges levied in the region of 10% extra for the supply of phones, electricity and water. I have been informed that this has now been changed and that property owners/tenants are now going to pay for services directly to the supplier. 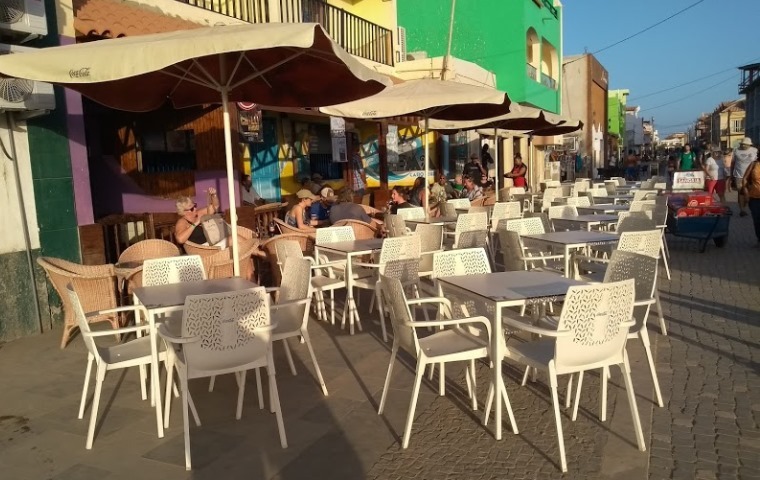 If looking to buy property in Murdeira to rent it out, you would have to consider whether people want a quiet holiday or are willing to travel into Santa Maria. Letting your Murdeira apartment: If wishing to let a Murdeira property through the Management Service in Murdeira, ask for a contract first. You may want to consider how you would know whose apartment/villa is going to be let before yours is let. There are apartments/villas that have been owned by other people for several years and they also let them out, so it is possible that any new owners of apartments/villas may be further down in the lettings list. You can look at other Rental Agencies as an alternative. You may be able to find someone else to manage your property.